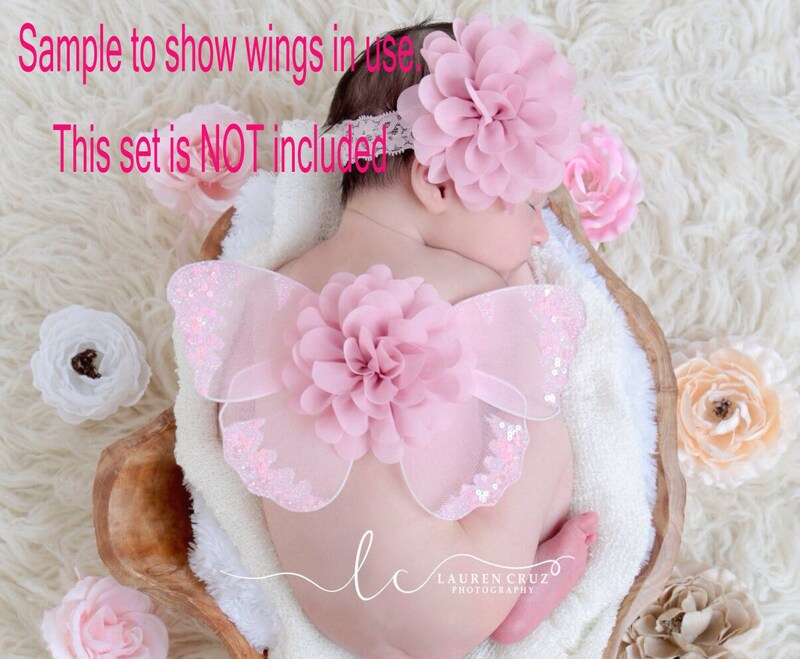 These wings lay on the babies back for photo props for newborn babies, recommended for a sleeping baby. No straps, they would show and wake the baby to attach to shoulders. Wings measure 8 x 5 inches. 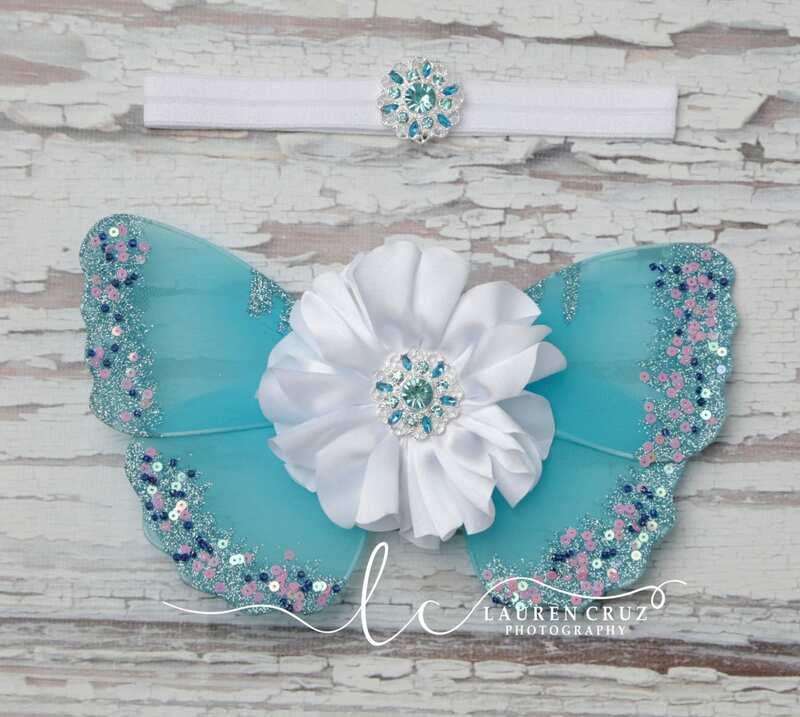 Headband measures 13 inches on newborn set. Purchase this also for priority shipping and a rush order.